Interestingly, there’s a link on mormonverse.com about Durrant’s talk with the catchy word “ponderize”. 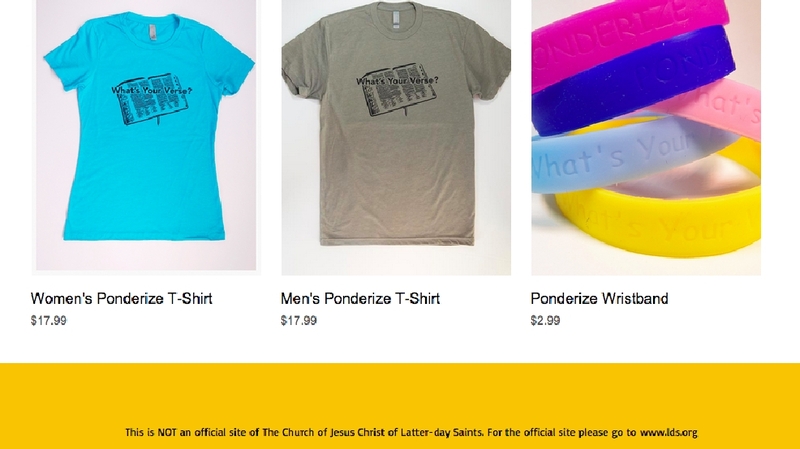 Supposedly, shortly after conference you could go to a website and order t-shirts and/or wrist bands with the word “ponderize” or “what’s your verse?” printed on them. Because of criticism the site has already been taken down. I said to my husband right after the talk, “I bet that will be their next catchy phrase to be printed on merchandise and splashed all over the Internet.” Just like the “I’m a Mormon! I know it! I live it! I love it!”. While pondering on a scriptural verse is never a bad thing, I’m not sure merchandising the idea is a good thing. Even if it’s for a good cause. This is my first time commenting on your blog. I have been an active believing member of the church for my entire life. I have always had a great love and respect for the brethren. Less than two months ago I awoke to the truth that there is something wrong with the church. The Lord clearly revealed to me that all is not well in Zion. I have been back and forth and basically in a state of denial, sadness, and confusion, ever since. I was looking forward to conference in the hopes that I would gain some answers as to what is really going on and what the brethren really are. Are they true apostles or not? Do they have the authority and keys to perform temple work and the other saving ordiniances or not? Unfortunately none of these questions were answered for me this weekend. Just the opposite. I’m more torn than ever about what is going on. I believe the brethren to be good men who are trying their best to tend to the affairs of the church. Do they have faults? Yes. Can they lead us astray? Yes. Are they currently leading us astray? I don’t know. They do point us to Christ and teach us to live Christ centered lives. President Monson is a very Christlike man who has given his entire life to serving his fellow man and directing the affairs of the church to the best of his ability. It made my heart brake to see him struggling to finish his talk on Sunday morning. He preaches of Christ, he has all his life. It is wrong to speak badly of him and find fault with him in my opinion. Should we blindly follow every word out of his mouth and sing praises to him every time he enters the room? No, but we should love him and pray for him and sustain him in his efforts to fulfill his calling. Sorry for the long comment, but the situation with the brethren and the state of the church is complicated and the whole situation is very unsettling for me. Are we not commanded by Christ Himself in verse 48 of Matthew as well as in the same verse of 3 Nephi to be perfect? Can we not find that in the scriptures themselves as well as on lds.org? If so, and it is so, what does it mean when the Church publishes a quotation which contradicts the Lord Himself? Uchtdorf’s priesthood talk was 90% good. But lately the question for me has been, “Do these men live what they are preaching?” Uchtdorf’s talk on Saturday had some profound tidbits, but again I ask, isn’t the Church also gilding the lily with man-made good ideas? Nelson’s talk was intriguing….if I were to share my experience of blessing my daughter, I could argue that no one could get angry with that experience, and no one could say I should’ve called in an elder, or my husband, who was in the other room, when Nelson clearly said we need women who can call on the powers of heaven to bless their children. He also asked for women who understood the Doctrine of Christ. I could open a talk with that quote, and proceed to explain the Doctrine of Christ as laid out in scripture, and no one should object to it. I was surprise to gain as much out of conference as I did. Bednar’s was…disappointing to say the least. I believe these are all good men, but I really don’t think we needed a talk focused on the fact they are called because they’ve lived a long life and therefore have more experience in…whatever it is. Joseph was a spring chicken and was called of God. Clearly humility and a connection with the Lord is sufficient, not your age. Jesus was rather young when He began his ministry. As always, not once did a single “apostle” declare HOW they knew Jesus was the Son of God. I can understand that many may still not believe if they did actually give evidence of their knowledge, but that does not excuse them from providing evidence as Peter, Paul and Joseph Smith did. That’s the job of an Apostle….it’s to witness of Christ. But we’ve scaled it back to witnessing of His name only….. I have wondered myself lately if the brethren actually live what they teach. I believe for the most part they do. I don’t think any of us are perfect at living what we believe and teach. 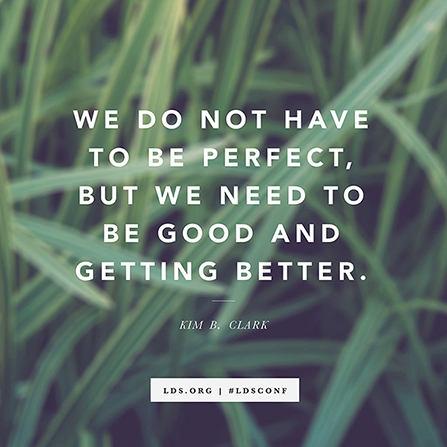 The brethren are human and we shouldn’t expect them to be perfect. On the flip side, because of their high positions as apostles and even “prophets, seers, and revelators”, they should be held to a higher standard than the average Joe member. What’s particularly disturbing is the blatant way in which they try to avoid and even cover up confusing aspects of church history. They tell us not to question and only believe. They make it appear as though most members who have questions are looking to dig up dirt on the church, when in fact most members who discover discrepancies just want honest answers and a reason to keep believing. The brethren know this. They owe us real answers. Telling us the full truth and sincerely trying to answer each and every honest question shouldn’t be too much to ask of them. As far as Pres. Monson being a “good” man, I’d mostly agree. But I don’t think any of them are particularly more righteous than a “good” bishop or stake president. As far as Pres. Monson being a “Christlike” man, I’m less sure. Christ stirred the pot quite a bit. He told the “good” people that prostitutes were entering heaven before them. He whipped people in the temple (I doubt he was using his “temple voice” either). Christ was a bit of a hellion by our standards. Cole, I recommend reading or listening to Denver Snuffer’s 40 Years in Mormonism lecture series. This series exists specifically because of the situation you find yourself in. Thank you Durrants for the clearest message of conference….well, you and icon sports equipment guy :). I’m not sure if Jesus used a Nordic track but I am fairly sure he “ponderized” Isaiah. I just don’t think the wrist band or t-shirt were available from one of the exchangers in the temple. No wonder he was upset, after all that “ponderizing of Isaiah you’d think he could at least get a t-shirt out of the deal! !– temple exchange must be in the “ponderized” ancestral genes. The behavior since has looked like an awkward attempt to recover a fumble!! Really you guys??? It’s hard to swallow the idea that God calls these men, rather than men calling these men. When did God change from calling humble nobody’s, to only calling prestigious knownbody’s? Two CEO’s and a hospital director. Why don’t GM and Caterpillar change themselves to 501 C status and tell buyers that God called the leadership? Would we buy that too? Maybe that’s the boost they need in this tough economy. How inspired it would be. But I guess only a select few are invited into the “sweetest association they could imagine.” GA award, indeed. That situation with Elder Durrant makes me think of something Hank Hill said: “I don’t know whether to laugh… or vomit.” I’m leaning more towards vomit right now. I suppose there is more than one way to look at what being Christlike is. Christ being the only perfect and sinless man, even the son of God had more right to stir the pot and call people to repentance than even the best of mere mortal men. I believe President Monson to be Christlike in the sense of having charity and compassion to those less fortunate. I believe that he has really tried to live by the motto of “it ye have done it unto the least of these ye have done it unto Me”. He not only preaches Christlike compassion and love nearly every chance he gets, he actually lives what he preaches. Could we expect more out of him from a “prophet, seer, and revelator” perspective? Yes I believe we can, but from being Christlike and setting a good example of Christlike love he has done a good job. Ben, thanks for your concern. I have read Passing the Heavenly Gift, and Denver’s first lecture as well as most of his blog. I have mixed feelings about many of the views he presents. Many of them contradict my understanding of the scriptures. For now I’m sticking to searching the scriptures and keeping an open mind to figure out what the true state of the church is. I may dig into the rest of Denver’s lectures at some point if my understanding of the scriptures changes or I get the feeling that I should. Thanks Bishop for this post. I am a member in the middle of a “faith crisis.” I love reading your different posts. This time I decided to share a few thoughts. I watched and listened to all the GC speakers, and was looking forward to the LDS Church making history by possibly calling ONE new Apostle from Africa, and ONE new Apostle from South America or from Asia. But, to my sad surprise, ALL THREE are not only from North America, but ALL THREE are from Utah (2 from Salt Lake and 1 from Ogden). That was an EPIC FAIL in my opinion. I’m sure they are good men, but come on!!! Are we not an International Church now? And, by the way, none of the many talks about DOUBT did a lick of good to help me. My favorite was “Give Joseph a break.” I don’t think so. Apparently, the LDS Church still has a major problem with many members like me who continue to have DOUBTS. I bet it reflects in the lower amount of Tithing donations (just my guess). The actions of the brethren really suggest they don’t want us asking questions. Yet I’ve heard some talks where they say it is perfectly fine to ask questions (Elder Ballard’s talk in Provo is a good example of that. It’s discussed in an earlier post here.) I feel that actions and words are so mixed up that it has the potential to paralyze people from doing anything. As to your saying they mostly live what they teach, I want to believe that. With Uchtdorf in particular, I have to wonder sometimes if maybe he’s trying to encourage a higher standard in his talks, for himself and the congregation, but struggles to implement it because of the emphasis on consensus among the leadership. How long will anonymous bishop let Snuffer use him as a double agent? Maybe pres. 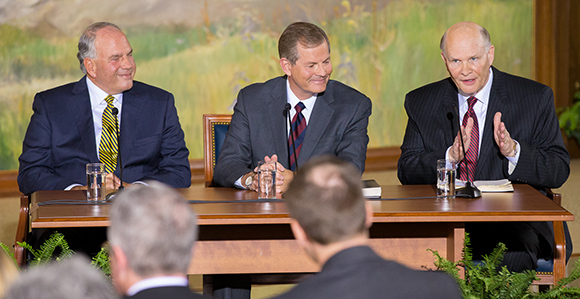 Monson picked these three men because of cognitive problems. Who knows. I was surprised to learn one of the new GAs wife put her only child in daycare so she could go to law school. She felt like she was inspired to do that (I thought personal revelation wasn’t supposed to contradict church teachings especially in this case where the family is already well off financially). Either way i’m glad it was said that the Lord calls these men not because of what they’ve done (or their spouses) but in spite of what they’ve done. Would have liked to see some foreign apostles however – not sure how they would work that out legally as far as needing US citizenship or residency status in order to live in SLC. I think the scriptures are the best place of all to turn! I have always found President Uchtdorf’s words to be the most edifying and uplifting of all the brethren. Over the years my life has been greatly blessed by trying to follow his council. His talk in Priesthood was really good, I didn’t agree with every single word he said, but his council to ask God to know the truth is right on. He certainly seems genuine. I’m not sure I can say that for all the brethren. Elder Bednar comes off as pretty proud and arrogant, and not at all humble like President Uchtdorf. Considering his young age he’ll likely be the President someday. That thought scares me. Bishop, I like your takeaway: We can choose to believe words that make us feel better or we can choose to believe Christ. When King Benjamin spoke, his congregation sure as hell didn’t feel better or more validated. They trembled because of fear — they awoke to their awful state and felt terrible about it. One thing I’ve discovered recently, is when I am more willing to learn for God, he doesn’t tell me I’m right. He tells me I’m wrong. It turns out my mind is so far away from his. Even my intentions are far from his. It turns out that — for me, anyway, I’m more often wrong than I am right. It’s true God’s words can be a source of comfort to us, but those same words also condemn us if we’re willing to be honest with ourselves. Cole, the thing with Pres. Monson is that we all know about his good works because he tells us about them! Aren’t we supposed to do our alms in secret? Sounds like the members from the “greatest generation” in the Council are slowly being replaced by their proud “baby-boomer” kids. What are the attributes of one who is Christ-like in today’s society? What if the leaders of a world-wide and wealthy church had sufficient funds to lavish upon making movies, and displaying billboards in expensive venues. but neglected to feed over 120,000 chronically malnourished children belonging to their church? They have the funds to feed their starving member-children, but choose to focus on telling the world how wonderful the church is. Is that the example Christ set for us today? I think perhaps their Christ-like appearances may be “for show”. To Cole and others out there who are just awakening…First, you are not having doubts nor are you in a “faith crisis”, you are in a Faith Awakening! It has been said that this awakening is like having your eyes scratched out and then having them scratched in again. Second, you should always question anyone’s teaching if they are paid to teach whatever it is they are teaching. 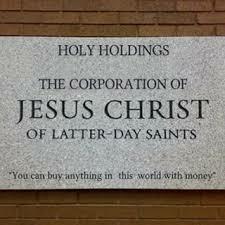 The leaders of the LDS Church are some of the highest paid clergy in the world, therefore, what they teach needs to keep the money flowing in or their very living is in jeopardy. As Elder Holland so eloquently put it in Oct. 2014 conference, “Like you, I have had to worry about finances on occasion, but I have never been poor, nor do I even know how the poor feel.” Well, Elder Holland, I have been poor, I know what it feels like to have no food in the fridge because we paid an honest tithe instead of feeding our children. Third, you need to study out what gives a man or woman the right to the title of Prophet(ess). Stop reading the scriptures like a Mormon Apologist and believe they actually mean what they say. God knows exactly what qualifies a man or a woman to be a prophet(ess). Fourth, hang on and get ready for the ride of your life, when you stop putting the arm of flesh or an institution between you and God you will learn very quickly how much fear and false belief color our thoughts each and every day. It’s quite the ride, hang on to the hope that it is necessary and make sure that your foundation is built on Christ; He is the way the TRUTH and the Life, no man (woman) comes to the Father but by Him. Maybe others can begin to view conference as that as well? You totally nailed it. Rasband talk felt like a victory lap and then Bednar ended it telling us just how great the past ones were too. I find it all disgusting. @Just Me. Don’t set your sights too high or expect too much from GC, then you won’t be disappointed? Just expect average, or a couple winsome moments to motivate folks? Somehow this does’t sound too promising for the church with 15 “revelators” in it. I don’t know. I kind of expect Christ’s words from my prophets–words with power to save unto salvation. Or maybe you’re being sarcastic. I wasn’t sure. I totally agree that the way the church spends tithing and even fast offering funds is very concerning. In addition to these donations, the church makes a huge profit each year from the many businesses it owns. It would be nice if the church would give a detailed accounting each year of how all this money is spent, but I’m not holding my breath. There is clearly something to hide. The church claims it is trying to build up zion, heck most of the time the church claims to currently be zion. However the Lord refers to zion as “the pure in heart” and that the people of zion are “of one heart and one mind, and there are no poor among them”. The church is not building up zion if the poor aren’t being taken care of, plain and simple. Something has got to change and that begins with the Brethren since they govern the financial affairs of the church. Actually, Elder Durant didn’t even invent the word “ponderize”. Do a search on Amazon and you will find a book published in January 2014 with that word in the title. I believe it was invented by a minister who is a disabled veteran. Would that be considered stealing or plagiarism?